You guys I know I love brussels sprouts. They’re one of my go-to side dishes – whether it’s for a quick weeknight meal where I need to add some vegetables, or a big coordinated dinner like Thanksgiving. Last night, I was going to roast some brussels sprouts with a bit of balsamic vinegar (as is my standard method), and then I decided to switch it up a bit… and I’m glad I did! I think this is going to become my new favorite brussels sprouts recipe! 1.) Preheat the oven to 375°, and line a rimmed baking sheet with foil. Halve or quarter your sprouts, depending on how large they are. 2.) In a mixing bowl, toss the brussels sprouts with the oil, mustard, maple syrup, vinegar, salt, garlic powder, and red pepper flakes, until everything is evenly coated. 3.) Spread the sprouts out on the baking sheet, and roast until lightly golden brown (15-20 minutes, depending on how big they are). Watch them carefully, as they burn pretty quick! These little sprouts are mighty tasty! The maple syrup adds a hint of sweetness, and the vinegar and red pepper flakes add some bite and spice. 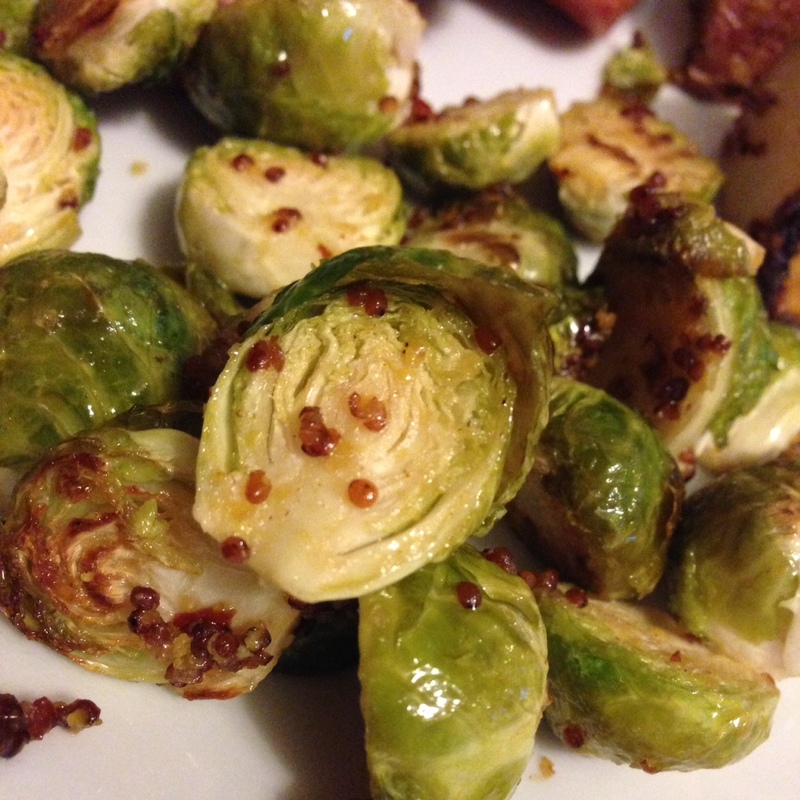 I found that the mustard seeds crisped up a bit, which added a nice extra crunch to the brussels sprouts. These are quick and easy to make – and I’m already thinking they’ll make a great addition to our Thanksgiving dinner this year! 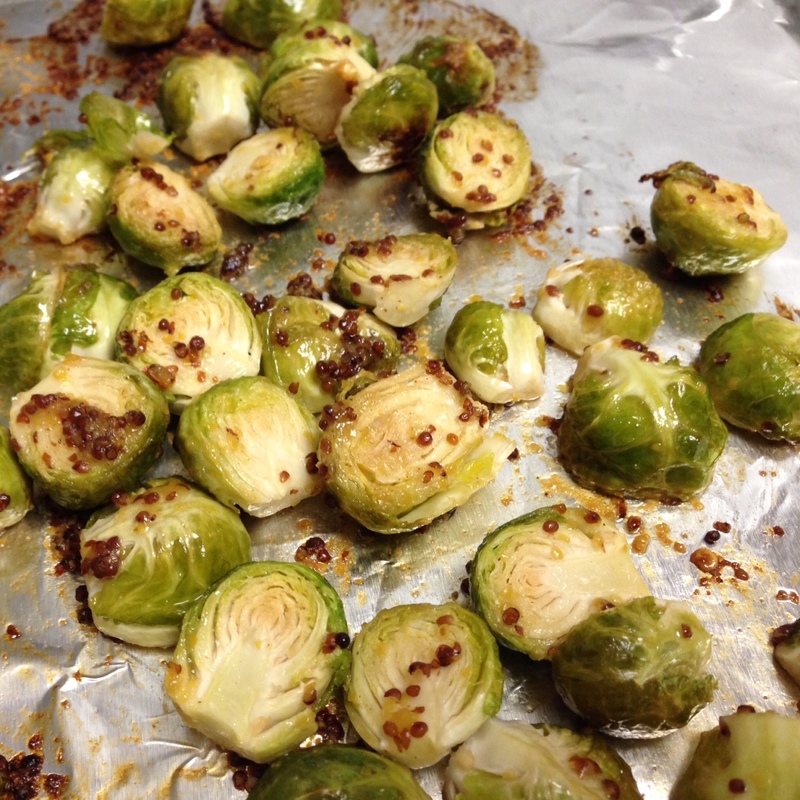 Love the maple/mustard brussel sprouts – Made it tonight, and there are no leftovers! Thanks for the great recipe.